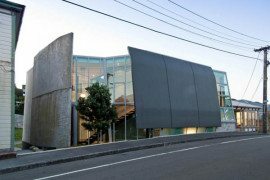 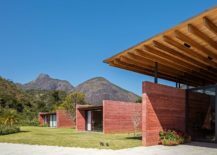 Simplicity is beauty and often it is the most obvious designs that offer smart spatial solutions even while providing gorgeous aesthetics. 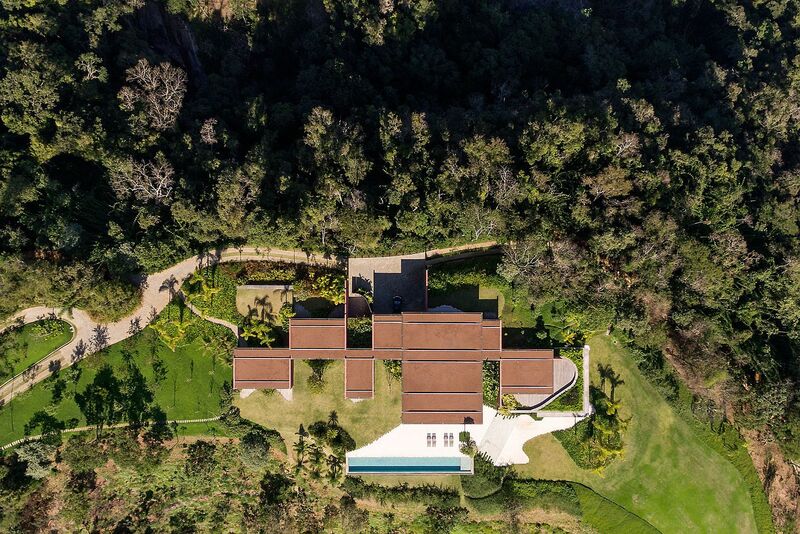 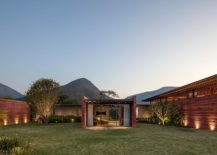 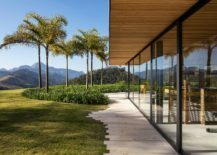 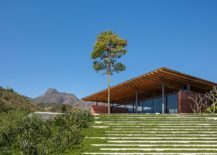 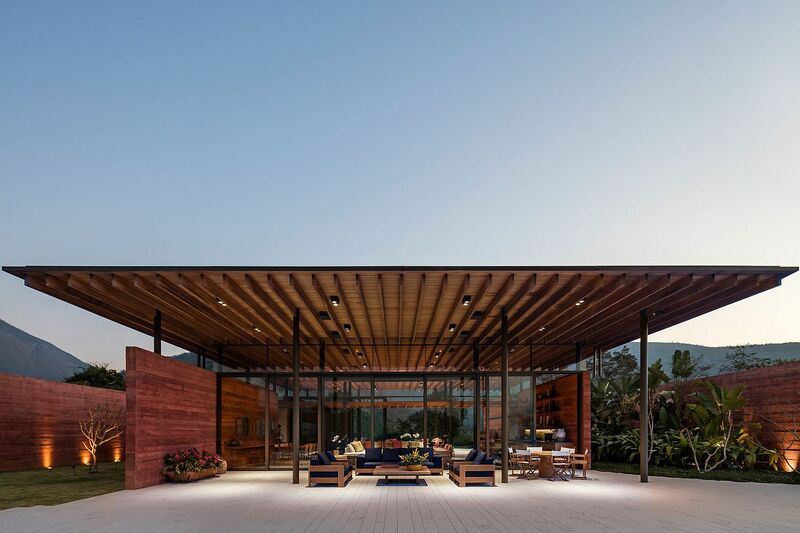 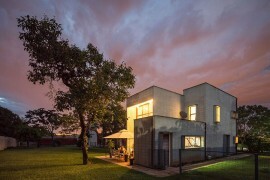 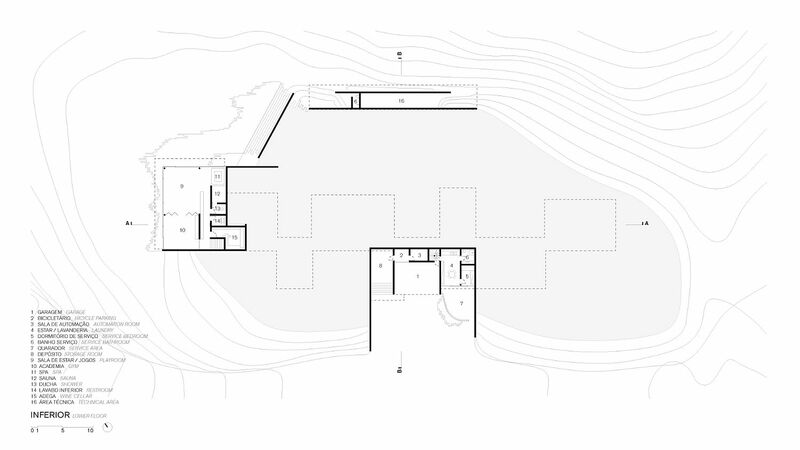 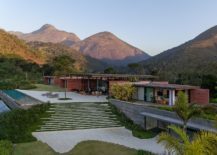 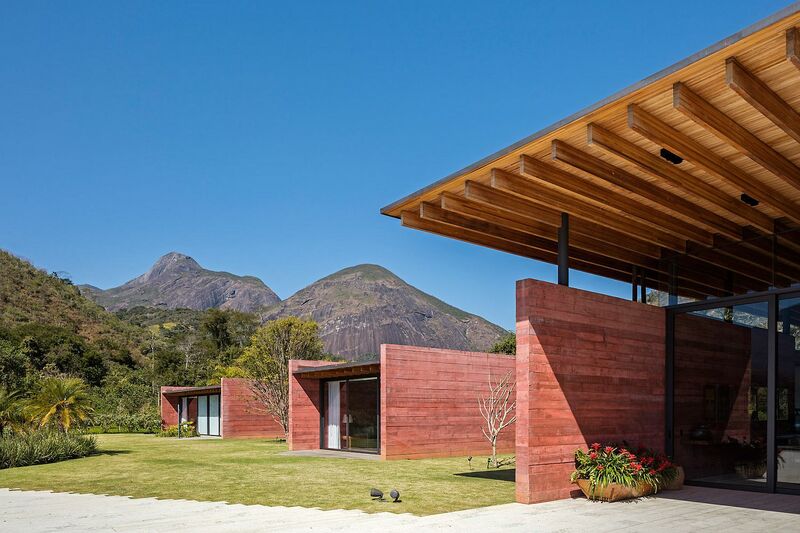 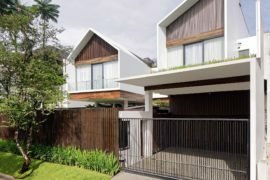 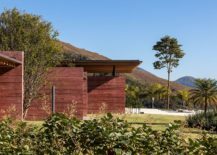 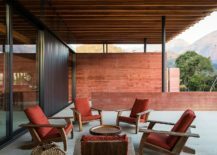 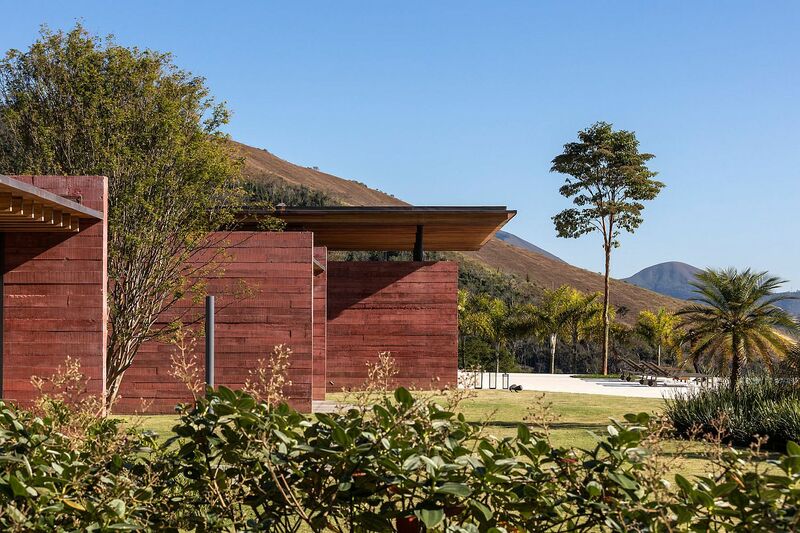 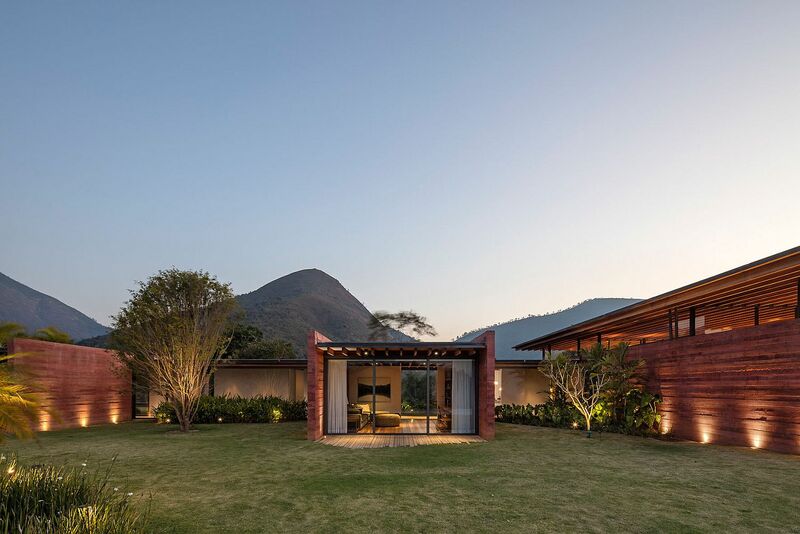 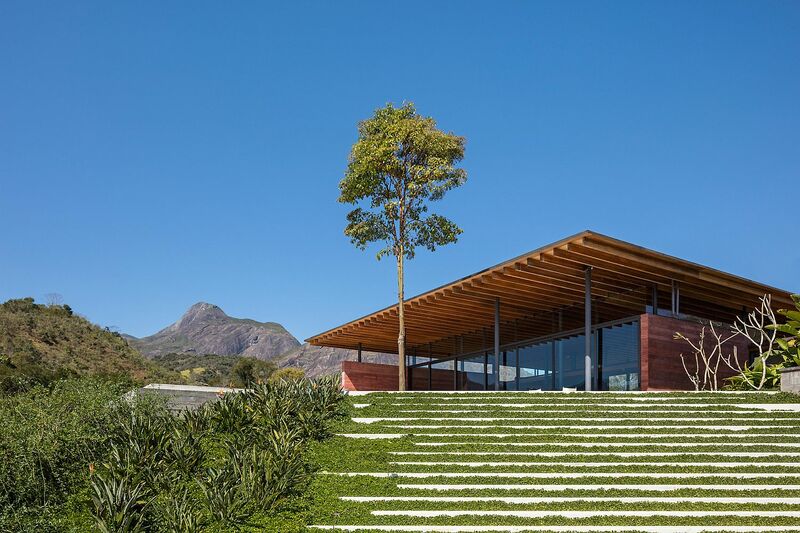 Nestled on a lush green lot in Itaipava, Brazil, this fabulous contemporary home was built by Bernardes Arquitetura using intersecting planes and parallel walls made of pigmented concrete. 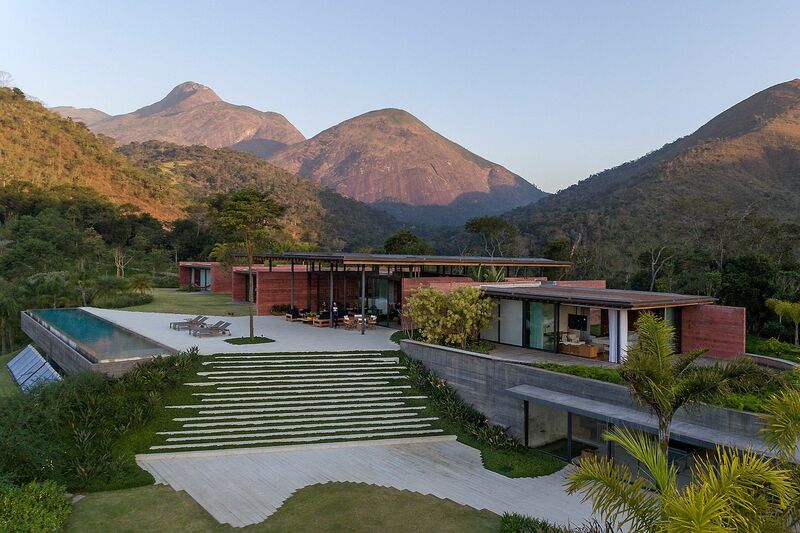 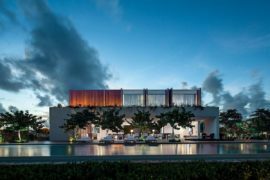 With an effervescent pink glow, these striking concrete walls give this modern Brazilian home its distinct façade even as a series of floor-to-ceiling glass walls connect the interior with the mesmerizing landscape outside. 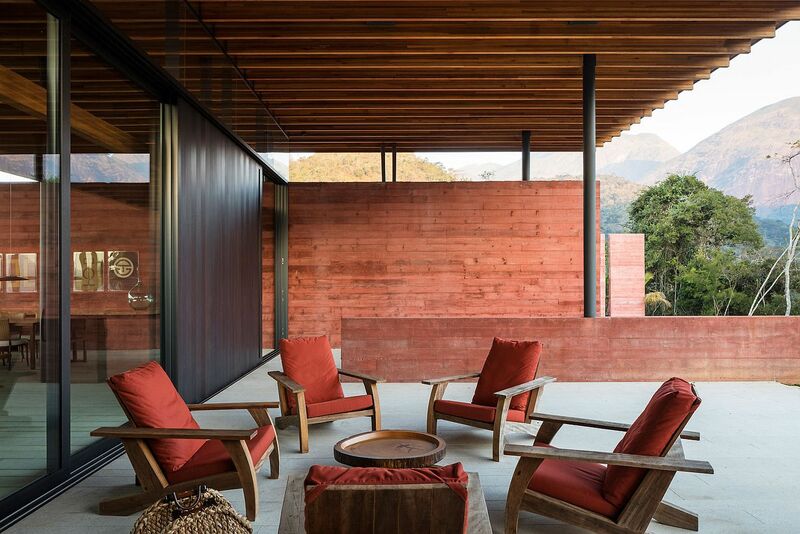 Casa Terra feels cozy, inviting and yet minimal without ever trying too hard! 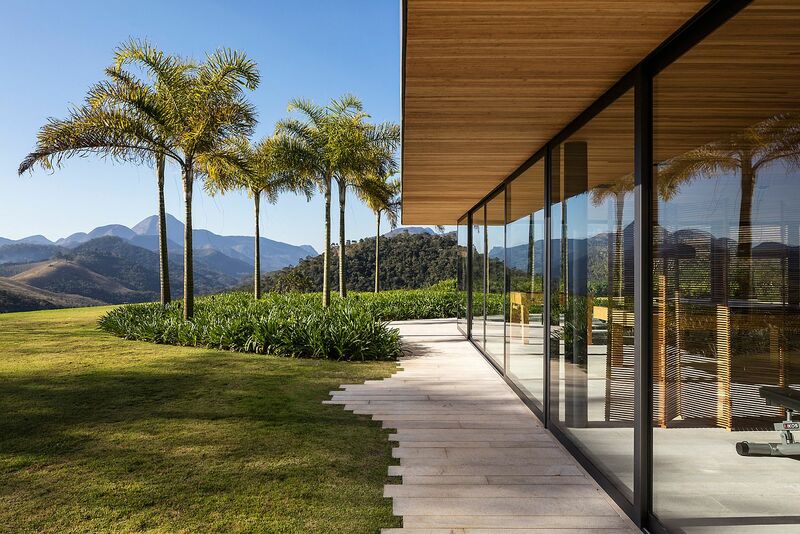 With distant mountains providing the perfect backdrop for the living room, it is the glass walls that bring the outdoors inside in an effortless fashion. 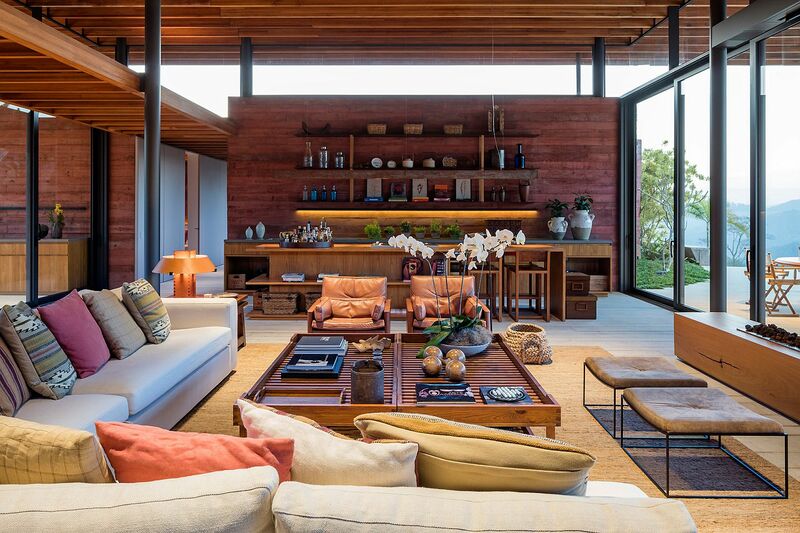 Color scheme inside the house is kept minimal with the pinkish walls adding all the necessary brightness. 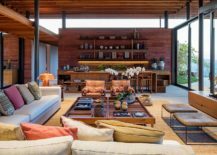 Décor is modern and luxurious with greenery outside and the distant landscape leaving those inside awestruck. 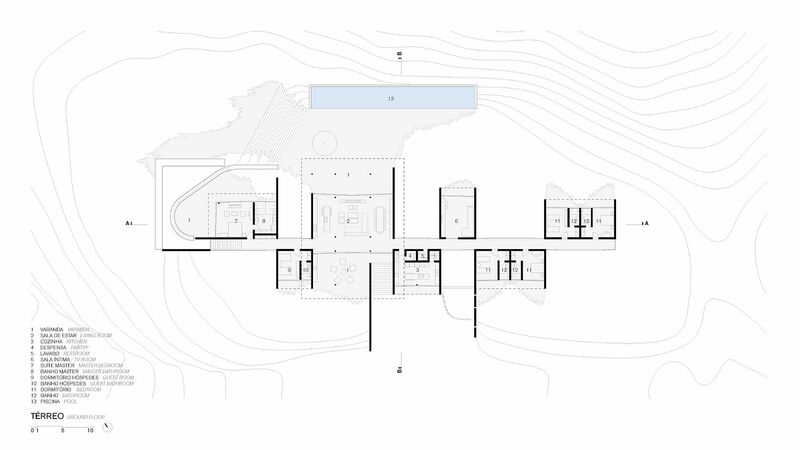 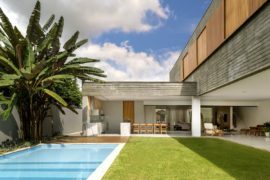 Despite the use of clean straight lines and minimal style, the spacious house feels comfortable and has a personality of its own.